Federal Bureau of Investigation officials in Cincinnati say a teen found wandering in a northern Kentucky town on Wednesday is not Timmothy Pitzen, the Aurora boy missing for nearly eight years. A male claimed to be Pitzen after he reportedly asked residents in a northern Kentucky community for help. Police in Newport, Ky., said late Thursday that a 23-year-old man from Medina, Ohio, Brian Michael Rini, allegedly impersonated Pitzen. It was not immediately known if Rini had yet been charged. “Although we are disappointed that this turned out to be a hoax, we remain diligent in our search for Timmothy, as our missing person’s case remains unsolved,” an Aurora police department spokesman said in a statement on Thursday. Timmothy Pitzen was 6-years-old when he disappeared on May 11, 2011. 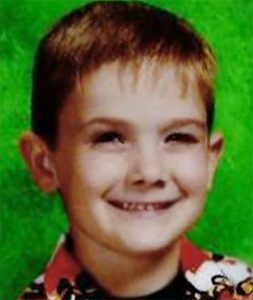 His mother, Amy Fry-Pitzen, picked him up from Greenman Elementary School in Aurora to take him on a three-day holiday to a zoo and a Wisconsin water park. His father Jim Pitzen had dropped him off to school that morning and went to pick him up, only to be told his wife had taken the boy out of school earlier that day. On Wednesday, April 3, Sharonville, Ohio police said they had located a male who identified himself as Timmothy Pitzen and told police he had escaped from a Red Roof Inn in southern Ohio. The Sharonville police report stated that the youth claimed to have escaped two men described as kidnappers from the unidentified Red Roof Inn where he was being held. The male claimed they were driving a late model Ford SUV with Wisconsin plates. The FBI in Louisville was working with the FBI in Cincinnati and police in Aurora. Two Aurora police officers reportedly drove to Ohio on Wednesday to assist.